My Experience With Cooking: Mushroom Fried Rice ~ And my 50th post!! You are here: Home > Rice > Mushroom Fried Rice ~ And my 50th post!! Mushroom Fried Rice ~ And my 50th post!! Chinese forms one of my favourite cuisines apart from Indian. But the Chinese food served outside China differs from what it is served within the country. The food served outside China varies according to the taste of the people in various countries. I love the Indo-Chinese version. Chinese dishes can be made in a jiffy and doesn't require much time and effort. The technique behind making a good Fried Rice is in using cooked left over cold rice as the rice grains would be fluffy and wouldn't stick to each other as would be the case when using freshly cooked rice. So prior planning is needed. But what if you haven't planned earlier and don't have cold left over rice but still want to make fried rice, as has happened with me on numerous occasions? Follow this simple and easy technique of rice preparation and you will end with fluffy and tasty fried rice. In a saucepan add salt to chicken broth and bring to a boil. Add rice, reduce heat to low and cook till water has been absorbed and rice is cooked well. Remove from pan and spread the rice grains on a large plate/tray and allow to cool at room temperature. Heat 1 tsp oil in a pan and saute onions and mushrooms till the water oozed out from mushrooms has evaporated and onions have turned transparent/mushrooms are cooked. Add bell pepper and snow peas, celery and saute for a minute or so. Add three fourth of chopped green onions and saute for few seconds. Add vinegar, salt and pepper and mix well. Add cooked cooled rice and mix thoroughly. Add soy sauce and fried rice seasoning mix and mix well. You may add ketchup too if you wish. Remove from pan and garnish with the remaining chopped green onions. This goes to Monthly Mingle-Ravishing Rice Recipes event hosted by Nags and started by Meeta. On this small achievement of mine, I would like to give away this award- 'Chirpy and Cheerful Blog' award to the following fellow bloggers whose blogs(and they themselves are too) are always chirpy and cheerful(like a parrot) and makes one surround with an aura of happiness! I would also love to give away this award- Awesome Shots to the following fellow bloggers. Photography is a skill which only few people are blessed with. And so is presentation skill. Both go hand in hand for eye catching shots. Hats off to you all!! You have really impressed me with your awesome clicks!! Congratulations on your 50th post! I look forward to many more of your delicious recipes. I love anything with mushrooms, so I would be sure to enjoy this. Hey pooja congrats on ur 5oth post dear.. Rice is looking so delish yah.. grab the whole bowl if i am there. Keep rocking!!!!!!!!! Hey Pooja congrats on ur 50th post dear.We all wish to post like these wonderful recipes.I love ur recipes dear.Mushroom fried rice is drooling dear. Congrats on ur 50th post Pooja...Wishing u more and more milestones yaa.Keep on rocking...Mushroom fried rice looks wonderful and delicious! 50 posts is not a small achievement Pooja. COngrats. This mushroom fried rice looks yum What do u mena by fried rice seasoning mix?? Thanks Smitha :) Fried rice seasoning mix is obtained at Asian section in grocery stores and Walmart too.Its a yellow coloured small sachet packet. Unfortunately I ran out of it, else I would have uploaded a picture of it for you. Congrats on ur 50th Post Pooja ...I love the Indio Chineese version but I have to admitt I hate the american version. Whenever I am in a mood for chinnese food < I end up making them at home. The Mushrrom Fried rice is invting. I love the dill rice too. Lovely entries. Thanks Cilantro :) And how right you are..I do not like American version and home made one tastes good! Congrag on ur 50th post.... Hoping to see more good recipes as usual... There is something waiting for u in my blog. Thanks Ammu :) Sorry but I couldnt get it. Could you please guide me through? Congrats dear on your 50th post! Hai pooja i tried the mushroom fried rice.It came out good.I make slight changes.Its very tasty.Now im having the rice dear. Congrats, Pooja! Rice looks yum - I love Chinese fried rice too. Congratulations on the 50th mile stone :) wishing you achieve many more! Your recipe collection is just so wonderful and mouth watering :) loved ur version of fried rice. the entries for the event is also so yummm,Good job girlie :)keep going!!! Thanks Suparna :) And for the wishes too! Congrats pooja...Wish you achieve more and post centuries of recipes..Mushroom rice is looking delicious will try sometime..
Congrats for crossing a milestone. Girl...it's morning and i'm already craving for mushroom rice. Congrats Pooja :) Mushroom fried rice is a good variation from the regular fried rice...looks delicious too! Congrats on your Award n 50th post Pooja... Lovely fried rice, it has come out well no two rice sticks to each other... and the veggies are tempting me!!! 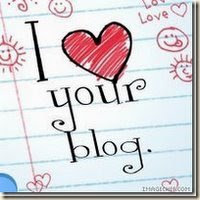 Hey congrats on ur 50th post...all the best.First time here..u ahve a ncie blog out here. I am coming to your place ..
liked the shrimp curry also ..
hey Pooja, congrats on ur 50th post in a very short time, that's an achievement.The rice looks just wowww! Congrats on your award and thanq thanq so much for passing such a beautiful award dear, means a lot to me!!!! Thank you so much Pooja!!! Am honored and thanks for acknowledging!!! Congrats to the other bloggers too!!! Congrats on your award pooja... And thanks so much for honoring me dear.. I am so happy. Congrats on the award lol....Thanks a lot for such encouraging words..Thanks a lot for thinking of me dear..
Congrats on your 5oth post. Lovely fried rice. Looks tasty. Thanks Vrinda and welcome :) Yes you may substitute chicken instead of mushrooms too. I know how hard it is to make kids eat veggies! Thank u sooo sooo much. Sweet of u to have thought of me. Congrats on making to the 50th!! The fried rice looks good-where do you get the fried rice seasoning mix?? BTW,tried out the prawns dish-it was totally awesome :) I was hoping it would be there for the next day-but the hubby and I managed to polish it off in one sitting!!! Welcome Smitha :) No you didnt miss it dear..I updated it after that! Congrats on the 50th post! The mushroom rice looks delicious!